Dr Barry Morton was raised and educated in Kenya, Botswana, South Africa, and Zimbabwe before returning to his native United States for university. In the course of obtaining a PhD in African History in 1996 he established his credentials as an authority on the history of Botswana. Since then he has published numerous books and articles on that topic. In 2017 he was hired by the Sir Ketumile Masire Foundation to work with the now-late President Masire on a new book, The Minds of Masire and the Making of the Botswana Democratic Tradition (forthcoming 2019). 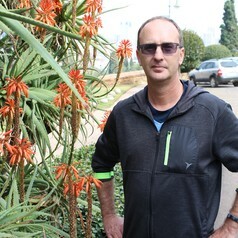 Since 2012, Morton has been engaged in a longer-term project on the origins of evangelical and Zionist Christianity in southern Africa. Using his research skills he has uncovered new information on previously obscure figures such as Engenas Lekganyane, John G Lake, and Isaiah Shembe.